South Africa has long kept the best of its real estate market as an open secret, easily shared amongst locals, not so much hidden from outsiders as invisible to them. But over the next few years, we can expect South Africa to become more accessible to overseas buyers as the country opens its doors and allows outsiders access to its secrets. Prices are relatively low in South Africa, tourist interest is high and the country’s top locations are excellent investment opportunities, helped by the relative strength of the pound against the Rand. South Africa’s widely varied and beautiful landscape doesn’t do the market any harm either. The country’s coastline may attract some but it’s the bush and game reserves that really shine as tourist attractions. A good example of this is the coastal town of Mossel Bay, where the number of overseas buyers is steadily increasing and holiday homes along the scenic Garden Route are heavily in demand. In the heart of the Garden Route is the Gondwana Game Reserve, a 5-star bush resort where holiday home owners can let their homes to tenants with the promise of access to 27, 000 rolling acres of South African wilderness, year-round swimming surfing and golf. What’s more, it’s just 30 minutes inland from Mossel Bay. If that’s not enough to tempt you, consider this: Gondwana is the only game reserve in the Southern Cape with property for sale. Freehold title plots with 2.5 acres begin at around a million Rand, or about £65, 000, while a bigger price tag gets you a more impressive property, like a thatched lodge with three bedrooms and a wrap-around veranda for 3.5 million Rand, or £228, 000. The Gondwana game reserve is home to the African animals that draw enthusiastic tourists from al over the globe: lions, buffalo, rhinos, leopards, elephants, they’re all here. Despite the remote feel you’re only half a mile from the coast at the park’s edge, and the views available include Swartberg, Langeberg, and Outeniqua mountains. The park also has easy access to seaside golf courses like Pinnacle Point, Pezula, Oubaai and Fancourt, and the park is close to both Cape Town and the Cape vinyards. For high rollers, there are developments like Camps Bay Beach, a boutique collection of contemporary three-bedroom beachfront villas where prices stretch from 29 million Rand – about £1.88 million – and 36 million Rand, about £2.3 million. 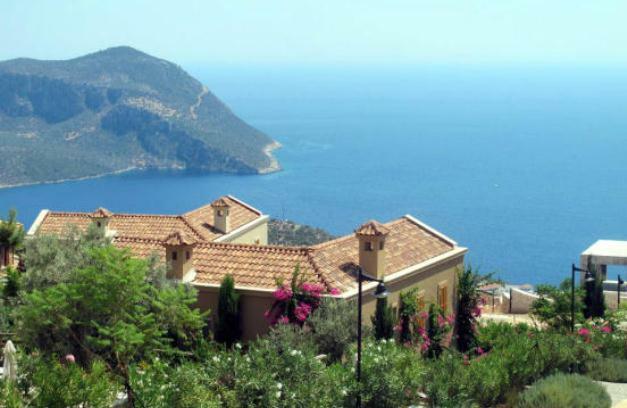 Its developers are saying that it offers the Mediterranean lifestyle at a fraction of the cost. Situated on the lower slopes of Table Mountain, the development offers panoramic views of the Atlantic Ocean, and the properties are close to a palm fringed promenade which has a reputation for nightlife, fine dining and cosmopolitan living. English buyers are reputedly attracted to Camps Bay for its atmosphere and views, but also for the fact that English is widely spoken and people drive on the left. However, it’s likely that now this market’s exposed to the world’s investors, itw ill find a level with other international destinations. 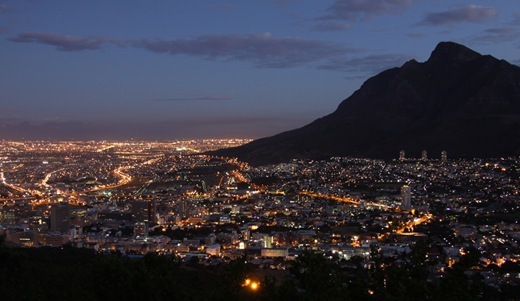 In the meantime, South African property could be the next big boom in international property! 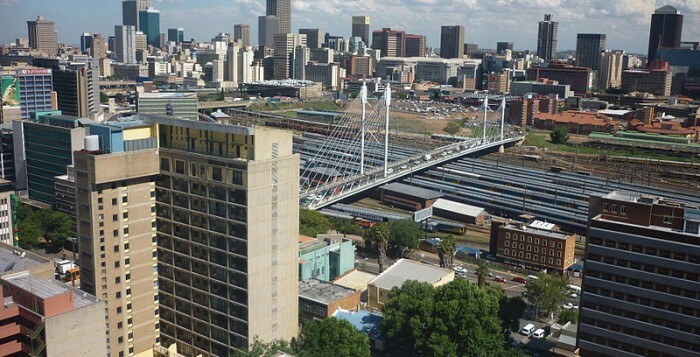 South African property prices have risen fast over the last two years, but that rise is now thought to be slowing, according to Fitch Ratings’ latest report. South Africa saw 10% year-on-year growth each year since 2012, but the South African economy is expected to experience a slowdown in 2014, and a fall in the average household’s disposable income is expected to result in a corresponding drop in demand. Another weight pulling the South African market back down to earth is the burden of defaulted loans; banks have still to complete the process of working out these loans and to sell the related properties. Fitch also expects interest rates to rise, which will add to the uncertainty of future gains in house prices. Inflation has run at an average 5.4% since 2011, and the rand was recently sharply depreciated against the US dollar, falling by 23% between January 2012 and November 2013. This is expected to lead the South African Reserve Bank to tighten its monetary policy. That might look like good news for the housing market but it needs to weighed against expectations of slow economic growth over 2014. Although South Africa has experienced two years of high house price growth, and is expected to see relatively healthy growth this year too, housing affordability remains good. Affordability is always an issue in house price booms because the inability of local residents to afford housing has both social and economic effects which are undesirable. In South Africa, though, affordability is now better than it was in the 2006-7 years. This is a relative statement: affordability is good for South Africa. There is a general underlying affordability problem in the country, and the country’s elevated house price to income ratios show how few South Africans can afford a mortgage. Fitch says it expects affordability to remain steady over the next few years, while housing appreciation slows down and any rise in average disposable incomes remains slow. Mortgage rates in South Africa are typically linked to the prime rate, a reference index which follows the South African Reserve Bank’s auction rates. The SARB last reset its auction rate to 8.5% in 2012, and it is currently at its lowest since the mid-1970s. Mortgage performance is expected to remain fairly steady in 2014. It has kept an even keel since 2011, following the peak in defaults experienced in 2008 and 2009, and it’s expected to be stable this coming year, with the National Credit Regulator foreseeing ‘some uncertainty regarding the future pace of these settlements, as the least attractive properties may still have to be sold.’ Between the risk posed by an increase in interest rates, the sluggish economic growth forecast and the shallowing out of the defaulted loan stock, South African property’s rise may not stop, but we can expect to see it slow down substantially. This one is bound to have sent a few shivers down the overseas property industry’s spine. South African President Jacob Zuma is thought to be coming nearer to banning foreign ownership of land in the country. However, the ban may not be as alarming as the headlines read. Land reform will now be based on the `deracialisation` of the rural economy, Zuma told a rally in the northern town of Polokwane today on the 99th anniversary of the founding of the ruling African National Congress. According to Absa Group, South African house prices rising at their fastest pace in 20 months in December left prices at the end of the year just 0.2% lower than at the start of the year. That is not too impressive on its own; UK house prices rose 6.2% in 2009 according to Nationwide, and South Africa is meant to be one of the bright spots of this housing crash. It is; because in 2008, when UK and American house prices fell between 10 and 20%, South African house prices rose 4.1%. That means that South African house prices have risen 3.9% during the worst two years global property has ever seen. 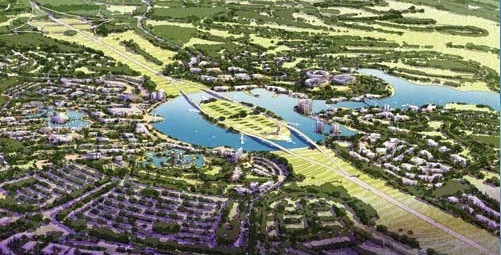 This year’s Dubai’s Cityscape saw a major announcement being made on the first day of the exhibition, when Ruwaad, a Dubai based real estate developer announced the development of Amazulu World, the largest of its kind multi-billion-dollar themed entertainment development in South Africa. Continuing our quest for interesting properties for sale around the world, we came across this game ranch in Kalahari, South Africa. The ranch is 643 hectares in size and surrounded by a three meter tall “Game proof fence.” We take that to mean “Elephant proof,” so we’re not so sure that’s a viable claim, but it makes for interesting reading. Included in the sale is a four bedroom house, along with four, thatched roof chalets. 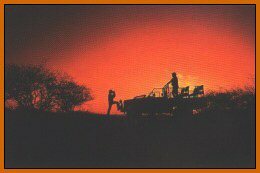 Also included is a Land Rover, 25 Eland, 45 Kudu, 22 Zebras, and assorted other animals but disappointingly, no Elephants. The company that owns the ranch, Phrima safaris, offer big game rifle and bow hunting safaris and an opportunity to “live Africa like you never thought possible.” The name Phrima translates from the local language as “place where the sun sets,” so if you are looking for a getaway at the ends of the earth, this would seem to be it. Amongst their hunting advice is the maxim, ‘use enough gun,’ which sounds like good advice to us. Their website is here, although if you are not fond of photographs of dead trophy animals, we suggest keeping away. If, on the other hand, you are, they have an interesting selection for your viewing pleasure. In the meantime, here are some spectacular photos of live animals in the Kalahari, shot by hvhe1. 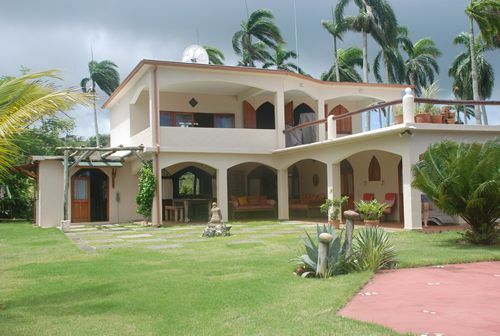 Viviun is listing the property at a mere $320,000, which is negotiable. The bursting of the property bubble in the US need not be followed by a similar collapse in SA says Michael Power, equity strategist at Investec Asset Management. Speaking on Moneyweb Radio, Power said the danger of a US property meltdown lies in the extent to which our economy will be exposed. He said if the bubble did burst, the knock-on effect would take time to play out across the world and it would ultimately affect South African through commodity prices. “Commodity prices won’t hold up as much if US consumers cut back on their consumption,” he explained. This will slow the rate of growth in China, negatively affecting their demand for our commodities. American house prices have shot up in relative terms over the last few years and this is â”an extraordinary perfect storm”, said Power. He explained that loose monetary policy in the US had generated consumer wealth, which had fuelled demand for property. The property market kept up with this demand by building 2m to 3m new houses each year and the combination was dangerous. Rocketing house values enabled Americans to draw more and more money out of their homes to fund their expenditure and Power reckoned the Chinese have been the beneficiaries of this spending. “The current account deficit of the United States has ballooned in line with the increase in spending, and i’s no coincidence that about $600bn has been taken out in home equity withdrawals and the current account deficit being just a little more than that.” But there are worries that the bubble will burst. Monetary policy is being tightened around the world, not just in the United States but also in Europe and Japan. Emerging markets are being regarded as higher-risk assets In the United States 25% of all houses are being bought by investors or by people looking for a second home. People are probably just starting to get a little scared at that sort of statistic, said Power. In the wake of a global record holiday season online buying spree, South African property is the latest beneficiary of the rush towards cyber shopping. Saul Geffen, managing director of MortgageSA, the country’s leading home loan facilitator says: “We have seen a marked increase in South Africans living abroad applying for home financing through the MortgageSA website and through our call centres. Geffen says the MortgageSA website is hosted on over 320 websites including being hosted on most major property websites. 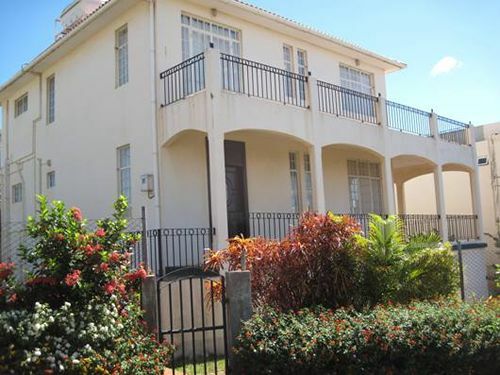 Geffen notes that MortgageSA receives dozens of enquiries daily – typically from South Africans in London who plan to come back to South Africa and settle down. 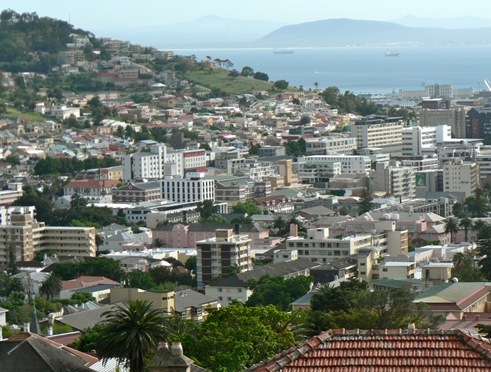 Most buy in Cape Town and Johannesburg and increasingly, Durban. 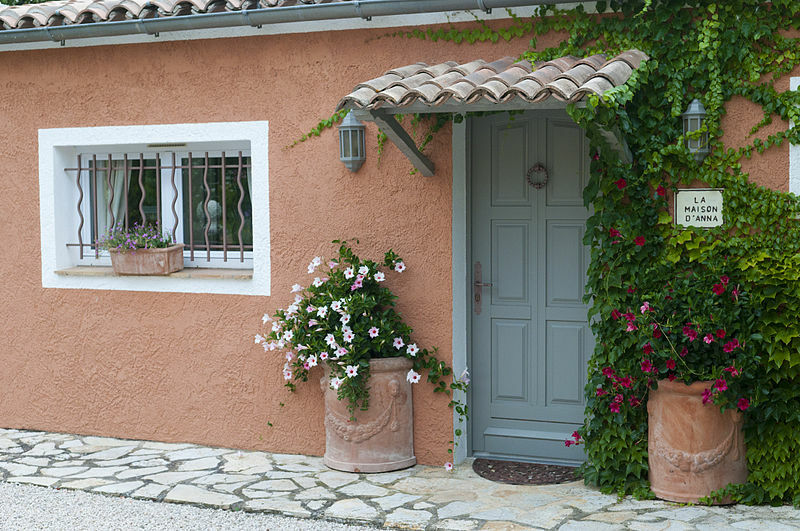 Expats can typically secure up to 80 to 100 percent financing on a property even though they work overseas. “The client will provide us with their gross income earned overseas and we will do the calculation. Banks would typically lend an amount based on what the expat could earn in South Africa, which is often lower than what they would earn abroad. Geffen says MortgageSA’s is successfully attracting expats because their website is easily accessible through major search engines like Google and is the only multilender mortgage application website in SA supported by a national call centre. Scammers have been quick off the mark to start making money out of those who can least afford to pay within 24 hours of President Barak Obama announcing details of initiatives to bail out US homeowners facing repossession.